I’ve been friends with Lisa Lieberman for about as long as I’ve been a member of Goodreads. Over the years she has frequently tipped me off to great movies and books. 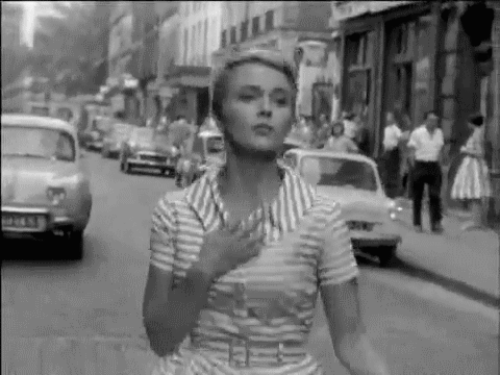 In particular, I’m grateful for her recommendation for me to watch Jean-Luc Godard’s amazing film Breathless. When I heard she had written a novel about Hollywood abroad in Europe during the 1950s, I dropped everything and devoted myself to reading it. I knew it would be well researched, intelligent, and brimming with all that wonderful information that I know is so beautifully arranged (unlike the clutter in my own) in her head. Instead of a traditional review, I thought it would be more interesting for me to ask Lisa a few questions about how this book evolved. Jeffrey Keeten: Previously, you've written some very serious books about tough subjects. I still see a writer concerned about the bigger issues even though your choice of expression has changed from history to fiction. I liked the way you weaved the history of the time period into the book. You took a book that could have been categorized as a Hollywood cozy and made it into a more profound book tackling contentious issues. For instance: McCarthyism, sexism, racism in London, and even the fate of children in Europe still facing harsh conditions left over from the war in the mid-1950s. As almost a counter balance, you worked in elements like Princess Grace's wedding and Queen Elizabeth's coronation. Were you drawn to the issues of the 1950s for a particular reason? What created the click in your head that said I need to write this book? Lisa Lieberman: As a historian of postwar Europe, I’ve been inhabiting this period for a long time. My nonfiction addresses some pretty depressing issues, as you note: suicide, including those of Holocaust survivors; the German occupation of Paris; war crimes and the trials of French collaborators after the war; terrorism and torture in French Algeria; the crushing of the 1956 Hungarian revolution. Even as a nonfiction reader, I’m drawn to dark topics. 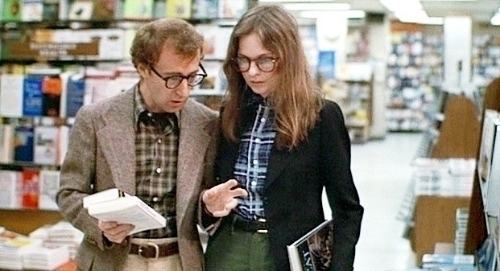 My bookshelves could rival those of Woody Allen’s character in Annie Hall (Alvy’s books all had “death” in the title). But I’m actually a fun-loving person, and my taste in films reflects this. Musicals, mysteries, British comedy, French caper movies, satire, romance. It just so happens that the 1950s was a prime era for all of these genres, in addition to noir, which I also adore. So that’s where I tend to go, when I want an escape. When my father was dying, in 2008, we watched a lot of old movies together, and after he passed away, I had a hard time getting back to my work. I found myself watching more movies, and gradually this story began to take shape in my mind. Jeffrey Keeten:Cara is a nontraditional private eye, no trench coats, or gats, or worn shoe leather in this book. In fact, the mystery plot spends most of the book trapped in her subconscious. Did you set out to write a 1950s murder mystery or did you you want to write a book about 1950s Hollywood, and the mystery element evolved with the writing? Still, there was a good deal of serendipity involved. Some of the characters and plot developments were planned, others emerged in the process of writing. Who knew that there was a DP camp in Trani (which I picked randomly by looking at a map, to determine a good spot for the car to break down on the way to San Giovanni Rotondo) and that, to get to it from Reggio di Calabria, one passes through Valentino's home town? The journey was exhilarating, waking up each morning and not knowing quite where I'd be going that day. Looking at old issues of Vogue to outfit Cara for the film festival? Learning about the Roma in Italy? Reading trashy Hollywood bios to help flesh out a character? Lots more fun than frequenting the Bibliothèque Nationale or listening to Holocaust testimonies at the Fortunoff archive at Yale! JK:Cara's brother, Gray, is a fascinating character, so fascinating in fact that he overshadows his sister in the early part of the book. Did you have anybody in particular in mind from real Hollywood that you based his character on? JK I couldn't help noticing you slipped Cary Grant into the book. Any particular reason why the dashing, debonair Hitchcock favorite was given a cameo? LL: Pure self-indulgence. I love Cary Grant (if you search my blog, you will find that I’ve reviewed a ridiculous number of his films — even some bad ones). Surely, I’m not alone in wishing I could have met him, if only fleetingly. 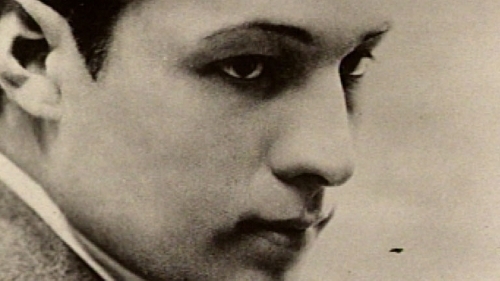 JK: Rudolph Valentino died too young in 1926, but the specter of him still lingered over Hollywood for decades. I thought it was interesting how you found a way to place him in your plot. The question remains though, if you could have dinner with Valentino or Cary Grant which would you choose? LL: Dinner? Cary Grant. 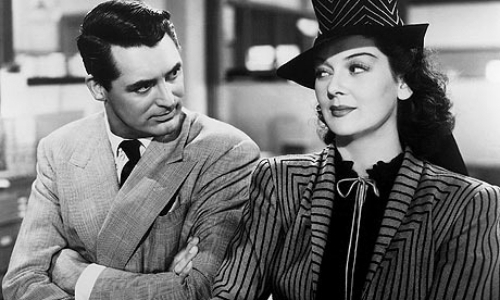 The way he traded insults with Rosalind Russell in His Girl Friday, the back-and-forth with Katherine Hepburn in The Philadelphia Story, his comic timing in Bringing Up Baby and Holiday, suggest he’d be a delightful table companion, even if we were only sharing a hotdog. Of course, I’d hope we went somewhere posh, so I’d get to see him in a tuxedo. With Valentino, on the other hand, I imagine a more wordless encounter. We might begin by dancing a tango, with the evening evolving from there. . .
JK: As I was reading the book, I kept thinking the Director Luca was based on Roberto Rossellini. I still have issues with him over how he, in my opinion, took away too many key acting years from Ingrid Bergman. Am I on track or did you have someone else in mind? LL: Bingo. I wanted Cara to come under the sway of an Italian neorealist director, and he fit the bill: serious, thoughtful, passionate about art and women, not as self-obsessed as Fellini. He was generous to a fault, stayed on good terms with all his ex-wives and mistresses. Ingrid Bergman’s autobiography provided tremendous insight into his character. She forgave him for the way he treated her, by the way. JK: This is a natural book for a wonderful soundtrack. Music is layered into the plot. Did you listen to specific music as you wrote the book? LL: I’ve always loved 50s jazz and the “gypsy jazz” of Django Reinhardt and Stephane Grappelli, but in the course of researching the time period, I learned that there was a Calypso craze in England at this time. Trinidadians came to London to help repair the war-damaged city and brought their music with them. The musicians gave themselves fabulous names: Lord Invader (he wrote “Rum and Coca Cola,” but wasn’t credited for it), Lord Kitchener (the basis for my character Dory). 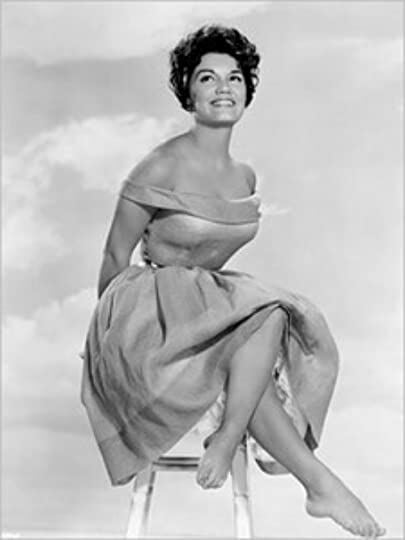 This wasn’t the clean Calypso later popularized by Harry Belafonte. Some of the lyrics were quite racy, and English audiences loved it — Princess Margaret included. JK: You bring up Kahlil Gibran's book The Prophet (1923) in the plot. This book seems to have a resurgence about every twenty years or so. In the late 1980s when I was in the book biz, I sold copies like crazy. It was a big book of the 1960s counterculture in America. Does this book have special significance for you? LL: No special significance for me, but the mid-50s was one of those fad periods you refer to, and Gray would have been exposed to it during his youth in the 30s, so it seemed like the perfect birthday present for him to give Cara. JK: Cara Walden has a slightly sordid past by the tender age of 17. In fact, she has had a child already and has given it up for adoption. Hollywood is an adult world where child actors grow up fast. Cara is attracted to all the wrong men, but really to me it was the environment in which she was growing up. It seems natural for a romantic, attractive young girl to fall in love/lust with those handsome actors. There is a particularly brutal, embarrassing scene on one movie set with a man she thought she was in love with. How much control over her own body did a young woman have during this time period? Not only with giving a child up for adoption, but with recourse for an assault? Silence or no work? LL: Yes, I think it is the environment that destroys actors, men and women, then and now. Too many tragedies to list, but just think of Judy Garland being put on diet pills and being “persuaded” to have an abortion when she was married to her first husband, because her image in those days was of a younger girl. Women who report sexual assault are still expected to prove their innocence, but it’s getting easier to come forward, I think. JK: There is a hint on the front cover that states 'A Cara Walden Mystery' which would indicate to me that you are planning a series. Are you working on a follow-up? And will it be in the same time period? LL: I’m just putting the finishing touches on the sequel, Burning Cold. This one is set in Budapest during the failed 1956 Hungarian revolution, taking off from the classic film directed by Carol Reed and starring Orson Welles, The Third Man. Graham Greene wrote the screenplay and I’m kind of channeling him for this one. After this, I’m be visiting the remnants of French colonial Vietnam, then we're off to Paris in time for de Gaulle’s return to power in May of 1958, followed by a jaunt to Cuba to meet Fidel Castro and witness the end of the Batista era. Never a dull moment. 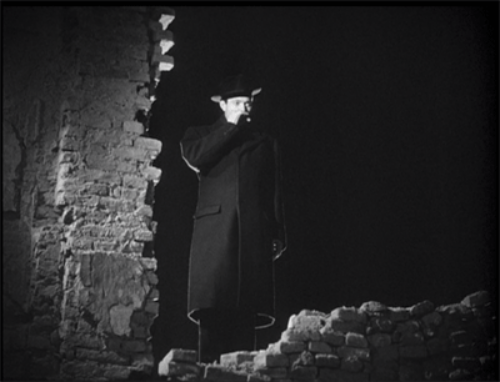 JK: The Third Man is a terrific movie and one of my favorite Welles movies along with Touch of Evil and The Lady from Shanghai. 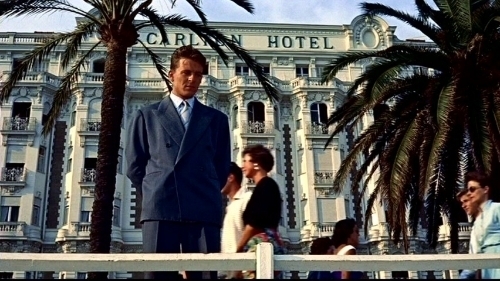 With Graham Greene added to the mix how could the movie be anything less than a masterpiece? I want to thank Lisa for being such a good sport about answering my questions and for tipping this reader off to this intriguing, well researched book that is filled with references to great films, body swaying music, and inspiring literature. I felt right at home in the pages of this book and look forward to experiencing more 1950s Hollywood as Cara finds herself on location in Budapest. Laia is a young woman who was unfortunately born into a caste without rights. Anyone among the ruling class can do anything to her and her people without repercussions. She lives in the shadow of this fear and one day her nightmares become real. The Martial Empire comes to her home, slaughters her grandparents, and arrests her brother for treason. She manages to escape, but vows to rescue her brother regardless of the cost. Laia agrees to spy for the Resistance and in exchange they will free her brother. Her target is the Commandant, the master of a brutal military school named Blackcliff. Elias is a young man living a life he never wanted. He's about to graduate from Blackliff and then he plans to escape forever. If he's caught he'll be brutally murdered. An Ember In The Ashes was a good novel. I immediately found myself caring deeply for what was happening to Laia and Elias, two unfortunate souls living out their place in life. I also felt strongly for Helene and Izzi two young women who were forced to go through hardships with the point of view characters. Sabaa Tahir really captured brutality in the Commandant, the trials, and life in general. I often felt sick because of the circumstances the characters faced and what they had to endure. While I thought the novel was good there were a couple of parts I disliked. I really didn't like when Laia and Elias were together. They had an unbelievable connection through most of their encounters. The two of them together felt like forced instant connection which is particularly insane since Laia hated Masks and Martials in general. Elias risking as much as he did for her also didn't make any sense to me. The other part I disliked was the ending. It felt like someone peed in my soup. It felt like I was a kid again, someone let go of my balloon full of helium, and I was forced to watch it float away. The book had so much buildup and intrigue, but it felt like it ran out of ideas at the end. There were major points that weren't touched on enough. Instead of leaving me intrigued or curious, they left me feeling annoyed. In the end An Ember in the Ashes was a solid novel that unfortunately left me disappointed at the end. My very first thought on Return to Honor is that I definitely enjoyed it. The short story has the familiar feel of the Powder Mage world while reinforcing certain points from the series such as an extremely skilled swordsman being capable of holding off or defeating a powder mage. It was good to get Vlora's internal monologue since she's the most hated person on Tamas's side over cheating on Taniel. She's clearly torn up over the repercussions of cheating on Taniel, particularly the loss of her adoptive father's love. On a side rant How weird was Taniel and Vlora's relationship? They grew up together and were practically siblings. I guess it would at least make holidays easy having the same father. Overall 4 out of 5 stars. This is for anyone who likes the Powder Mage trilogy, short stories, and novellas.